Hello again. Here we go with this weeks challenge at Little Red Wagon. This week we are going with an Egg-cellent theme. Heather is our hostess and has asked us to use an Egg in our projects. I chose this little Stamping Bella Stamp called Easter Bunny Chick. You can use Easter eggs or any kind of egg for this challenge. Hope you can hop over to the Little Red Wagon blog and join in this Egg-cellent challenge. Top pics will be posted next Tuesday. 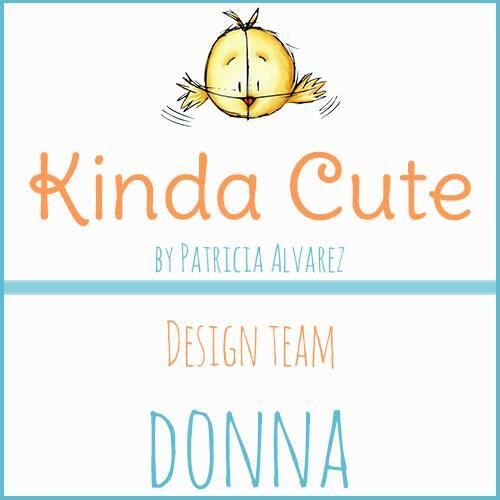 This is such an adorable card, Donna! I love the plaid sky! I wouldn't have thought to try that but it looks fantastic!! Love this sweet little scene. I'm like Kate, would have never thought of a plaid sky, but I love it! Delightful card! I'm loving all the die cuts and that tulle. Beautiful bold chicken. That plaid at the top really sets it off. So cute. I like the image and the way you used the stamp die and ribbon on this card. Hugs, my friend. Adorable! You have the prettiest designs my friend!